Cruising around the Mid West has never been as fun as it is with a FIAT car or crossover from Michiana Chrysler Dodge Jeep Ram FIAT in Mishawaka, Indiana. Thanks to our FIAT lease options, you can get behind the wheel of a new FIAT model every year, all at a price you can afford. Our auto financing experts will help you along the way too, making sure that your experience with us is pressure free and budget-friendly. Stop by our Mishawaka, IN dealership to learn more about leasing a FIAT today! The European design and Italian roots of FIAT will turn heads the second you drive off our lot at Michiana Chrysler Dodge Jeep Ram FIAT in Mishawaka, IN. For starters, there's the classic FIAT 500 compact car, perfect for commuters and drivers who love a little personality in their automobile. FIAT also proudly makes the FIAT 500X, an economical crossover that'll help you get down the road less traveled with plenty of room for your favorite things to come along for the ride. Lastly, we have the FIAT 124 Spider, a convertible capable of letting some wind through your hair as you quickly soak up the sunshine. 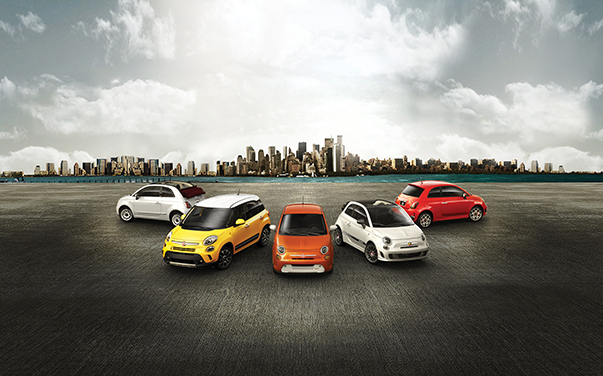 There are plenty of perks to owning a FIAT. Stop by our dealership today to discover what they are for yourself. Michiana Chrysler Dodge Jeep Ram FIAT in Mishawaka, IN will work tirelessly to ensure you have the vehicle you want at a price you can afford. That means working with you and your credit to help lock in an auto loan rate that fits your lifestyle. Whether you're looking for a high-end model or just something new each year, a FIAT lease can get you there. Give our auto financing team a call today to setup an informational appointment to learn more about leasing a FIAT.